Speakin' Geek: Eirtakon: A Gallery of fun. I'd like t thank Shane Collier who was the camera man on hand. He got all the right photos and the video's for my interview were of a high quality, they are coming later. Eirtakon is a growing European anime convention, each year Eirtakon goes from strength to strength giving higher quality in talent and events going on. Eirtakon has a dedicated staff who strive every year to give all the anime fanatics somewhere to go around this time of year and they succeed every time. 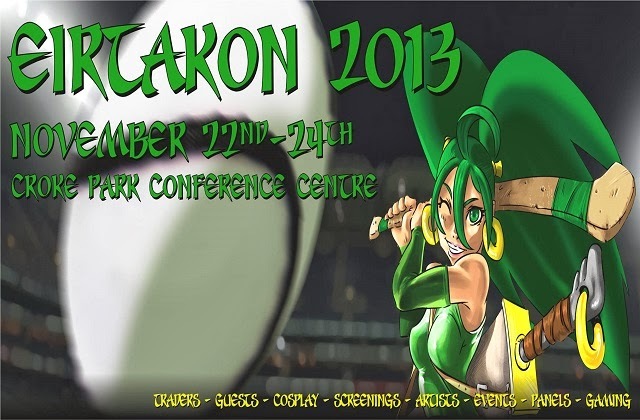 If you need an intimate and focused anime convention head to Eirtakon 2014. I know I will. Steve and a huge fan.